1957 - The group, initially called the Eugene Wind Ensemble, was organized by Robert Vagner to perform unusual music, both contemporary and historical. The Ensemble had a concert season of two or three concerts a year. Three rehearsals were set up for each concert, and the entire season paralleled the school year. Many of the performers were high school, junior high school, college, and university teachers. 1969 - The Ensemble changed character when it was re-organized as a permanent ensemble with regular weekly rehearsals and a set number of concerts in Eugene. At this time, the underlying purpose of the group was music education through the presentation of concerts to surrounding community areas. 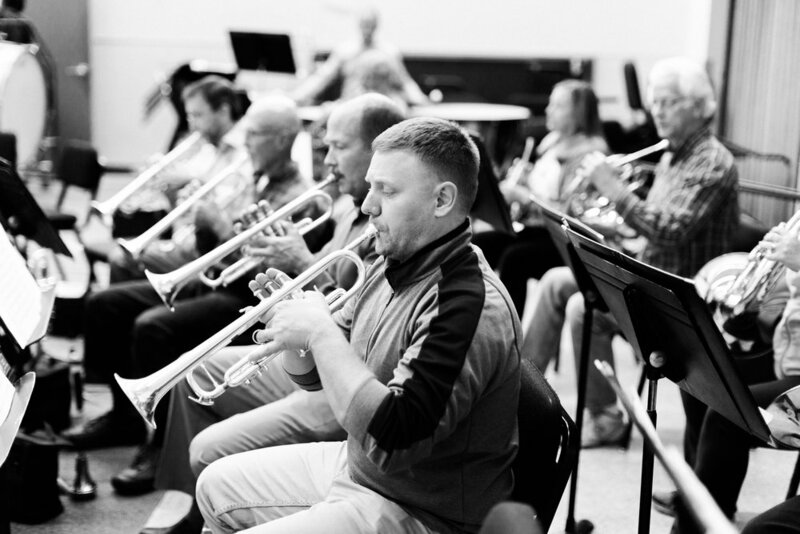 1980s- The Eugene Wind Ensemble changed its name to the Eugene Symphonic Band in an attempt to better communicate the size and character of the group. ESB organized as a non-profit association, adopted a Constitution and Bylaws, and in 1989, established a budget in order to compensate the Conductor and Band Manager and began its first year of fundraising and the business drive. The Band performed with a variety of conductors and soloists throughout the decade. A highlight was performing at the Soreng Theater in the newly completed Hult Center with guest conductor, Frederick Fennell. 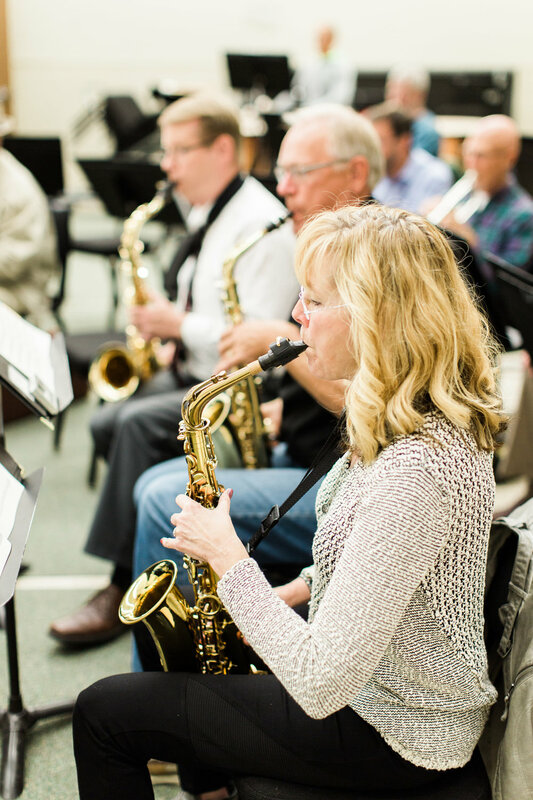 The first Oregon Adult Band Conference is hosted by ESB at the UO School of Music. 1990s- A rich decade of concerts with a variety of guest performers, new band compositions, Adult Band Festivals, clinics, sponsorship of the Dallas Brass, an exchange trip to Canada, and the beginning of the Lifelong Music Scholarship. Most notable conductor of the decade is Bob Ponto, who stayed on as conductor through the 2003 season. 2000s- Conductors Mancho Gonzales, Tim Paul, and now Dr. Rodney Dorsey continue the traditions with 2 “classical” and 1 pops concert each year. An Outreach Program was developed to encourage students, and the ESB joins a high school band in a concert at their school and contributes $300 to the band selected. 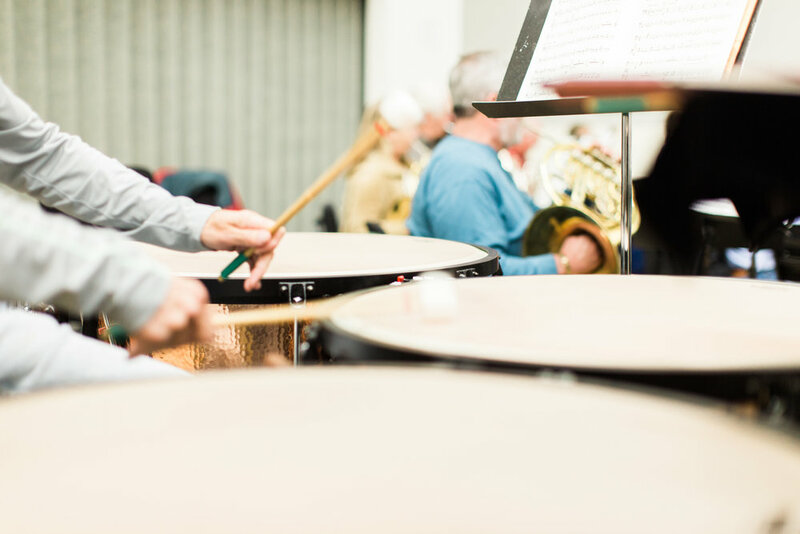 The band continues with the Washburne Park summer band series as well as opening for the Eugene Symphony for their free summer concert at the Cuthbert Amphitheatre. 2018- ESB celebrated their 60th season and a historic reception honoring numerous directors and members.